If you’re a banjo non-believer, stick around for a bit, read this review, check out the music of Dan Walsh and you may see the error of your ways. Far from having its origins in either the New World or the imperial Old, in fact it was brought to the Americas via African slaves; this iconic instrument has long established its position at the core of folk, roots and country music. While some will strum a few notes and chords on it, others take it under their wing and build a whole act on its beautiful twang. 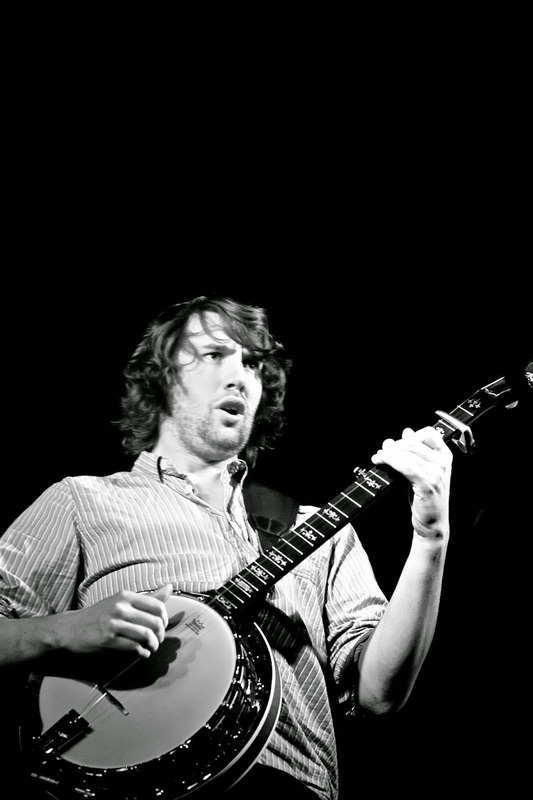 Midlands based artist Dan Walsh is definitely in the latter camp and is fast becoming acknowledged as being one of the UK’s finest exponents of banjo playing. His latest album brings more examples of flair as Dan reels off a high octane mix of instrumentals and songs, the latter a combination of both covers and originals documenting his life’s musings. Drawing on an initial love of Scottish and Irish music, bringing in the Appalachian bluegrass sound and experimenting with Indian classical music sees INCIDENTS AND ACCICENTS present Dan as a versatile picker as he looks to build on his busy touring schedule with a record that can stretch his influence far and wide via radio and digital airplay. As a record, this album possesses sufficient twists and turns to keep the sound fresh and a surplus of twang-induced melodies to hook in a listener for repeat listens. While the seven songs are predominantly from the pen of Dan, his decision to cover Darrell Scott’s excellent ‘With a Memory Like Mine’ is a fine choice and highlights his knack of seeking quality influence which also includes Bela Fleck. Likewise the decision to team up once again with Canadian country singer Meaghan Blanchard on ‘Only Way to Go’ pays dividends in a subtle way. The four instrumentals take a prominent and high profile place on the record with bluegrass being reflected in ‘Lost Rambler’. ‘Whiplash Reel’ sees Dan interpret his passion for Indian music, while ‘The Tune Set’ goes back to his Celtic roots with a trio of numbers bound together in a breathtaking six and a half minutes of banjo heaven. Fiddle and mandolin also feature as you would expect on a roots album with Patsy Reid adding the former on ‘Hermit of Gully Lake’. When penning his own lyrics, Dan draws his influence heavily on personal feelings especially in the opening track ‘Time to Stay’ where he reflects on returning back to his Stafford home after a number of years away. This is probably the record’s standout number though running close with the Darrell Scott song. Additionally the album closer is about a personal observation on a trip back to his family’s native Ireland and the track ‘Dancing in the Wind’ keeps the door open for future pondering about Dan’s next musical move. 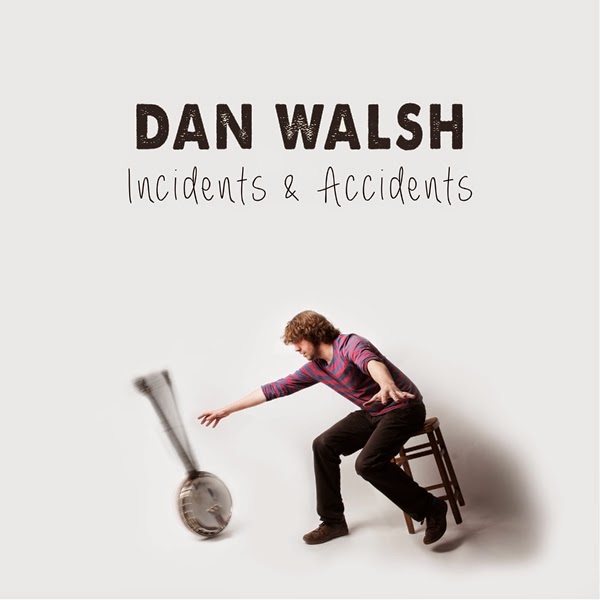 However the present and near future is about Dan Walsh continuing his assault on the folk, roots and Americana market and INCIDENTS AND ACCIDENTS is more than a useful addition to his armoury. To date the paths of Dan and I haven’t crossed despite our near regional proximity but this will be rectified at this year’s Maverick Festival. By then the record will be bedded in and a fair few festival goers will add him to their viewing schedule.